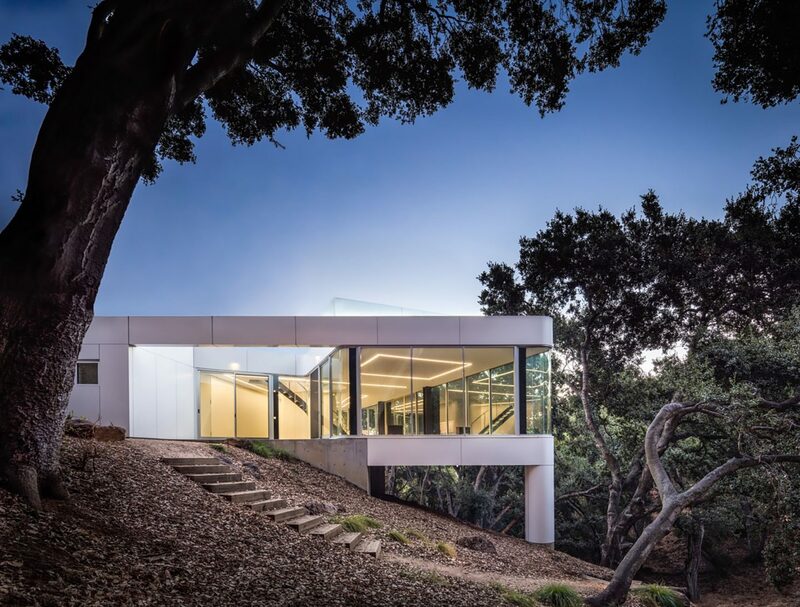 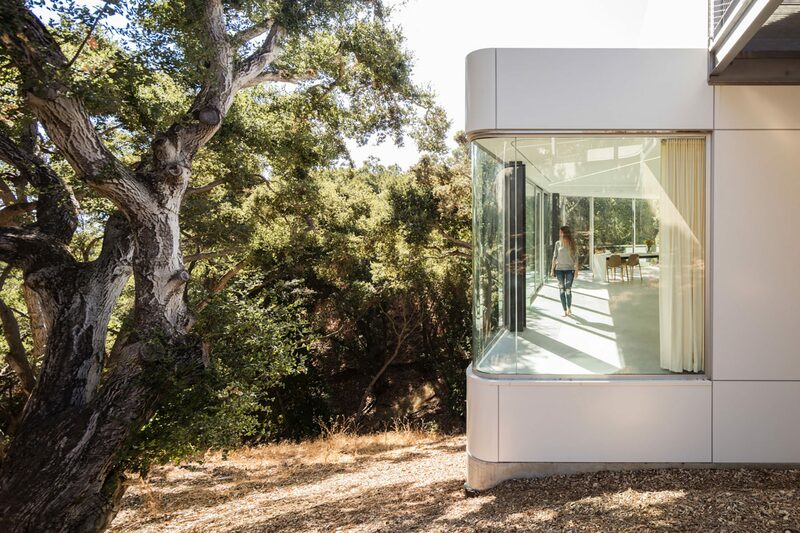 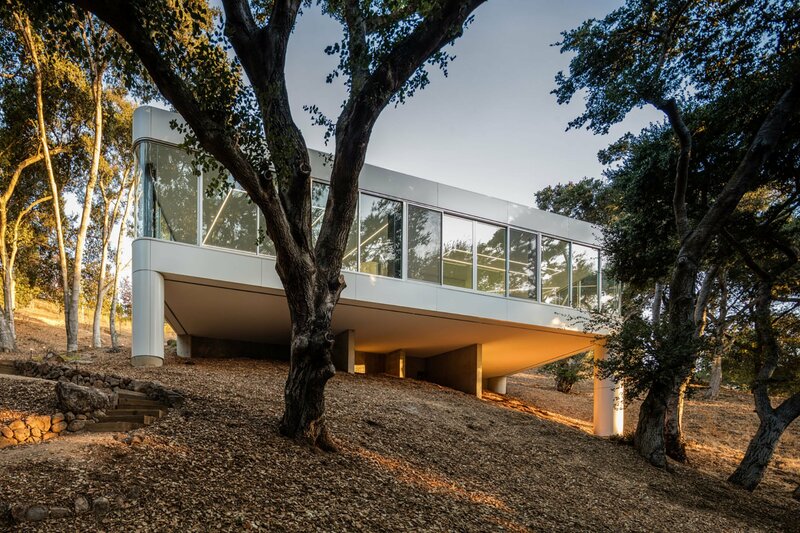 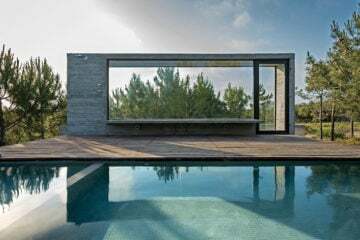 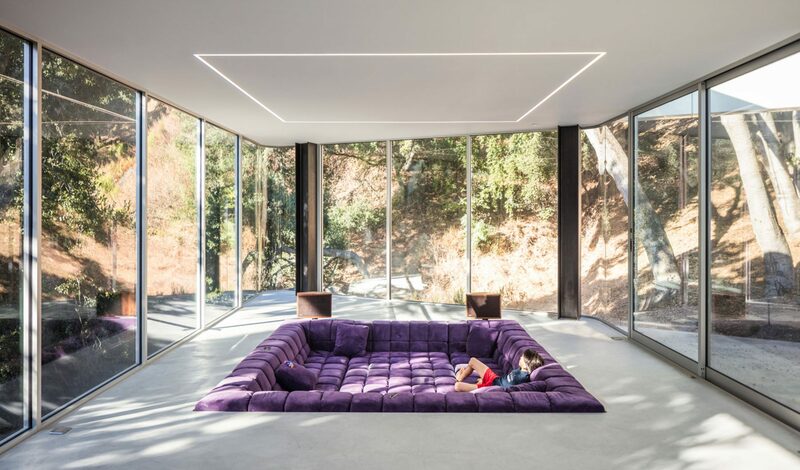 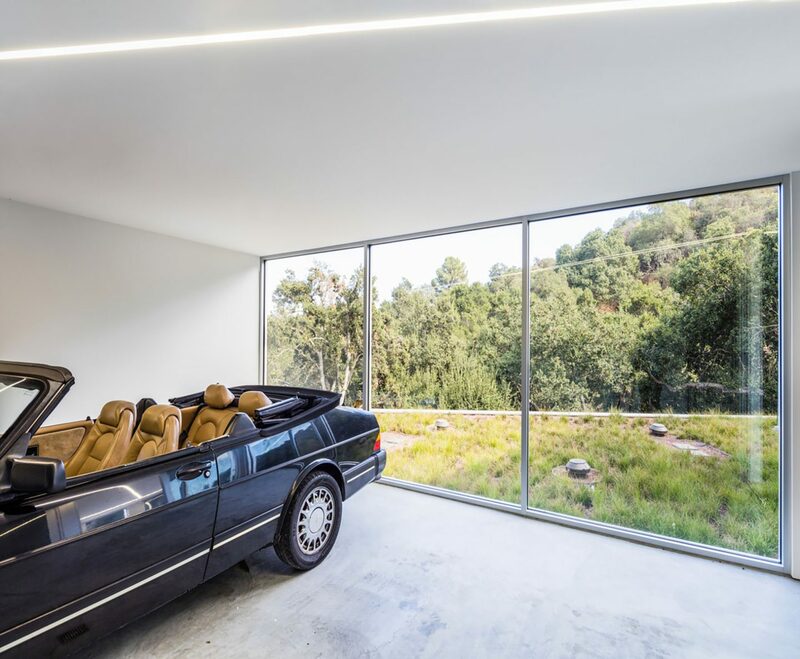 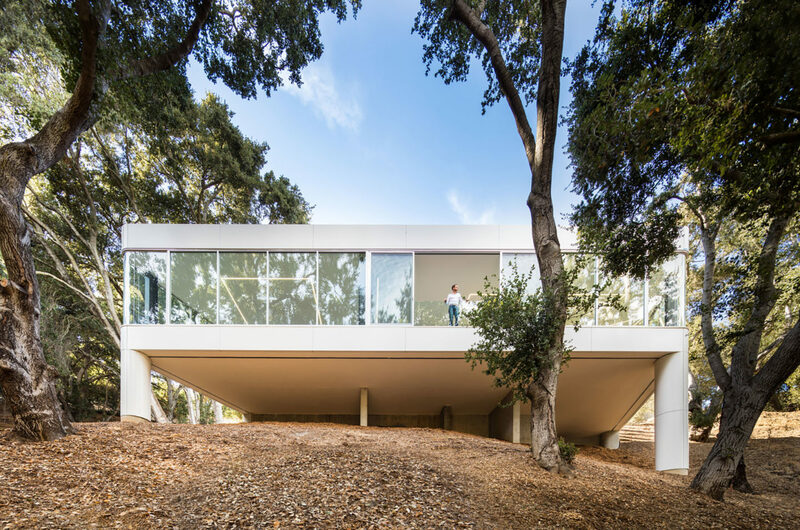 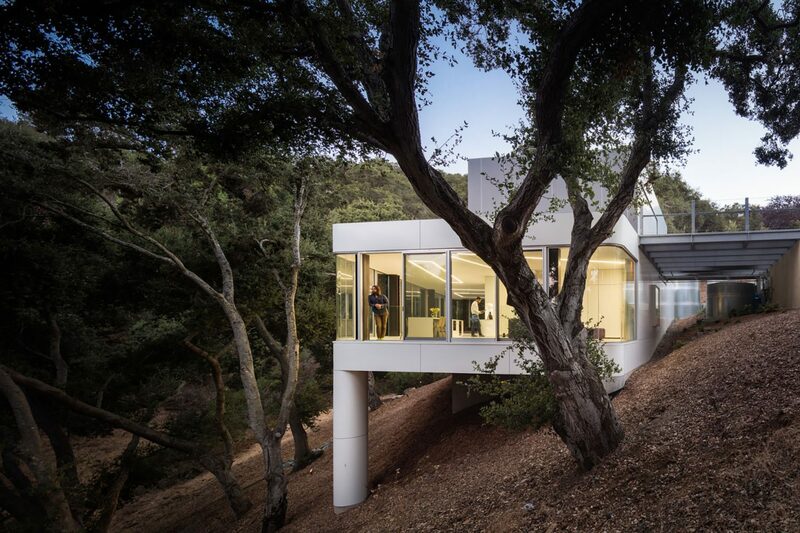 From certain angles, a glass box seems to emerge from an unbroken canopy of ancient oak trees in the foothills of the Santa Cruz Mountains — this future-esque structure is ‘Pam and Paul’s House’, designed by Craig Steely Architecture. 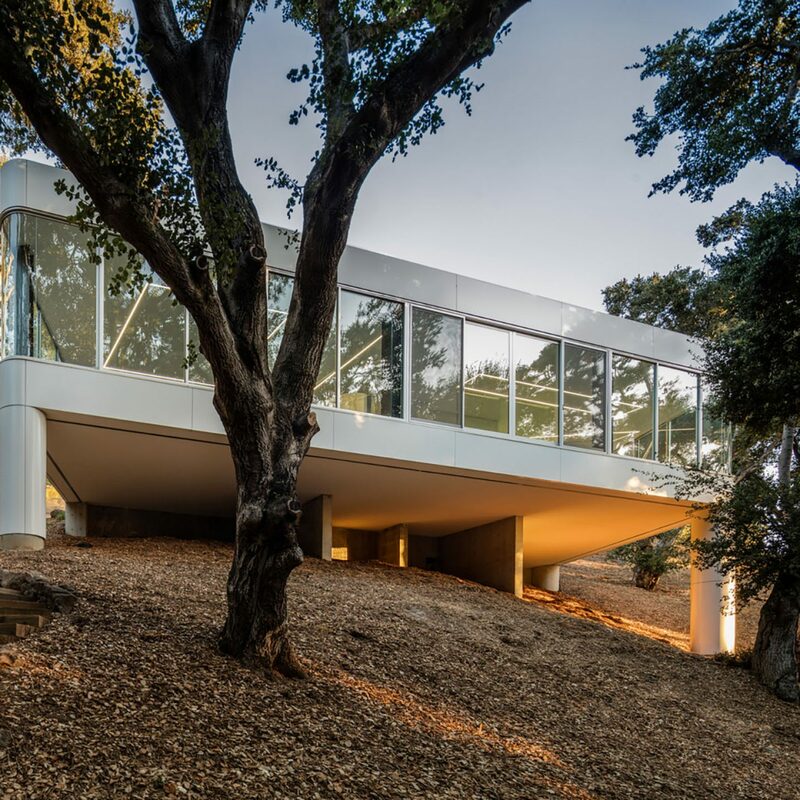 The home sits atop two trunk-like columns, its white and glass mass contrasting greatly with the gnarled oaks that curl around it. 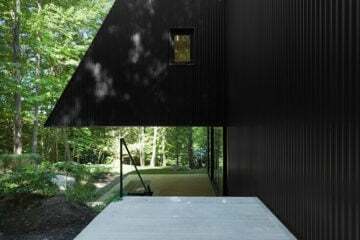 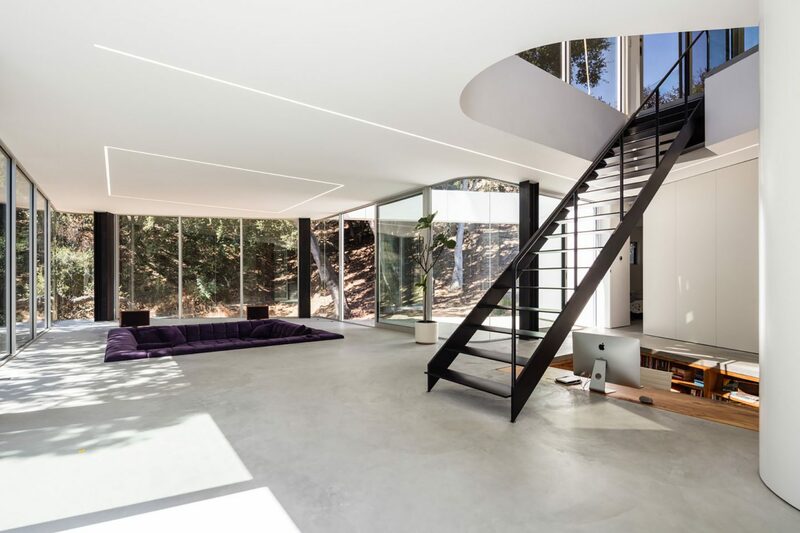 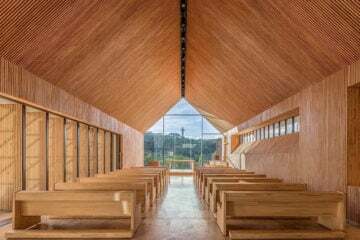 Yet despite this great contrast, the home has been built with its natural surroundings in mind — Craig Steely Architecture has designed the structure to work with the environment, not against it. 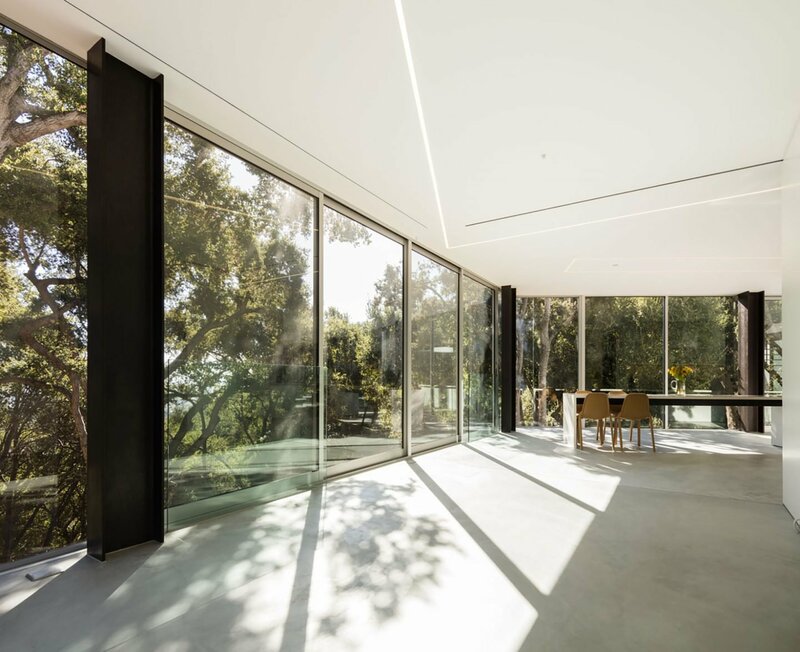 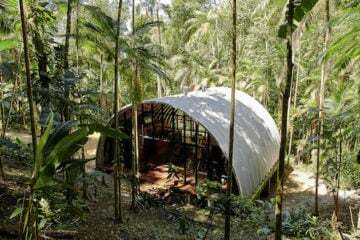 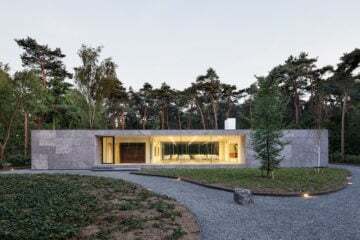 The curtain-less glass facade of the property would not be possible were it not for the density of the trees and their foliage; despite the harsh weather conditions the trees keep the house in dappled light during summer, and the canopy-skimming height of the building protects those inside from prying eyes. 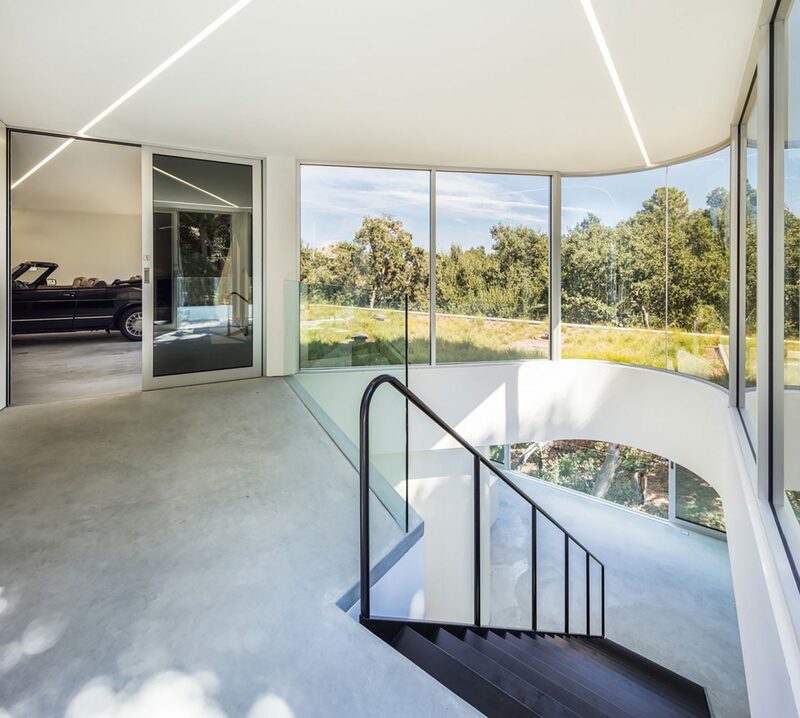 The rooftop of ‘Pam and Paul’s House’ features a garden of native grasses, and an observation deck that allows space for contemplation of the wild land beyond. 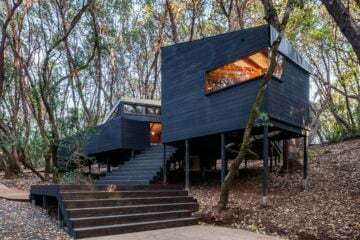 The main living area floats amongst the top of the canopy, whilst bedrooms, bathrooms and storage areas are all located behind along the hill side. 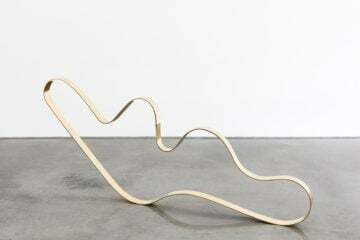 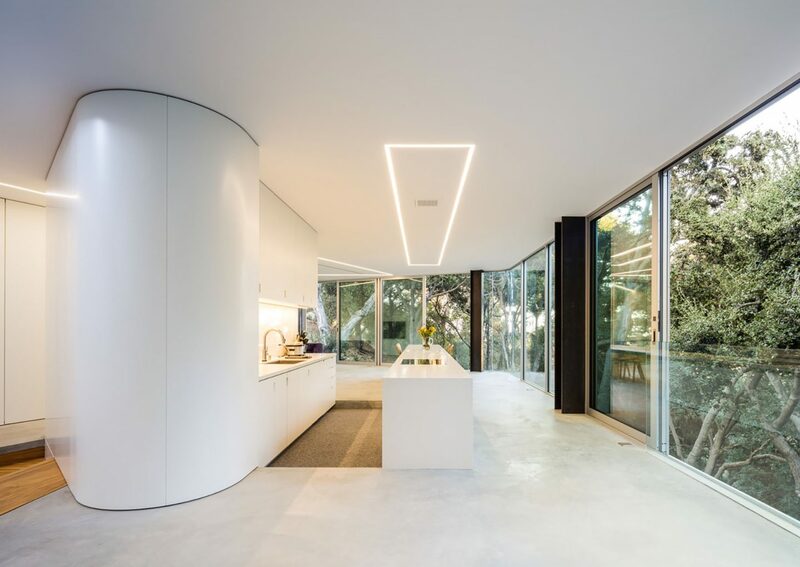 To avoid spatial confusion in the vast open-plan living space, areas have been delineated in a striking way. 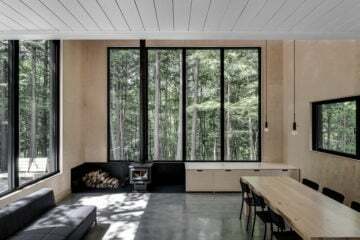 Sunken into the concrete floor, and furnished with a different material — the office, lounge and kitchen all feel like separate zones despite being in the same space.